Las Vegas, Nevada, June 7 Downtown Las Vegas has seen a major audio upgrade. 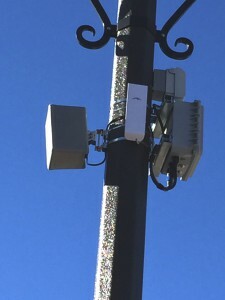 A cutting-edge installation of wirelessly networked loudspeakers and amplifiers now covers a five acre zone on 1st Street from Bridger to Boulder. 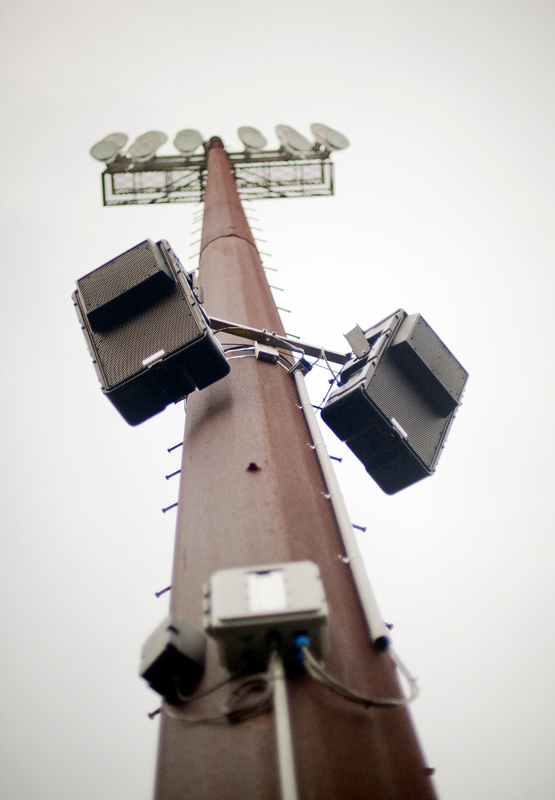 Suspended high above the pavement on 75 customized concrete light poles, the new audio system blankets the street and sidewalks with high fidelity sound streamed live from the city’s command center. 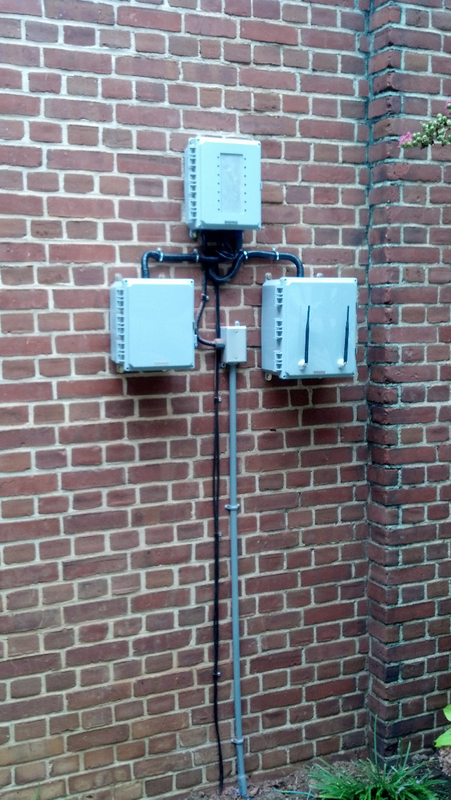 Local integrator TeleData Technologies commissioned the system, while Technomad LLC of South Deerfield, Massachusetts supplied the audio equipment. Founded in 1995, Technomad specializes in military audio and advanced commercial sound systems, with clients including the US Government, Disney, Royal Caribbean and many more. 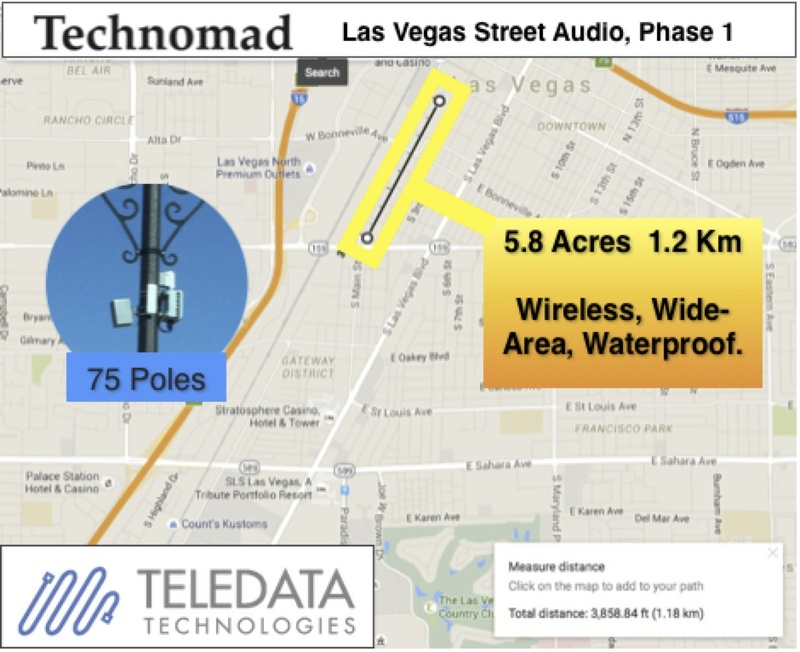 The 1st street project uses a custom ‘AudioNode’ equipment package based on Technomad’s PowerChiton waterproof amplifiers and military-grade Vernal 15 loudspeakers with wireless audio capability (click for details). A Technomad Schedulon audio player at the command center plays hours of audio automatically. The Schedulon also allows a staffer to quickly play emergency messages, interrupting any music playing automatically. 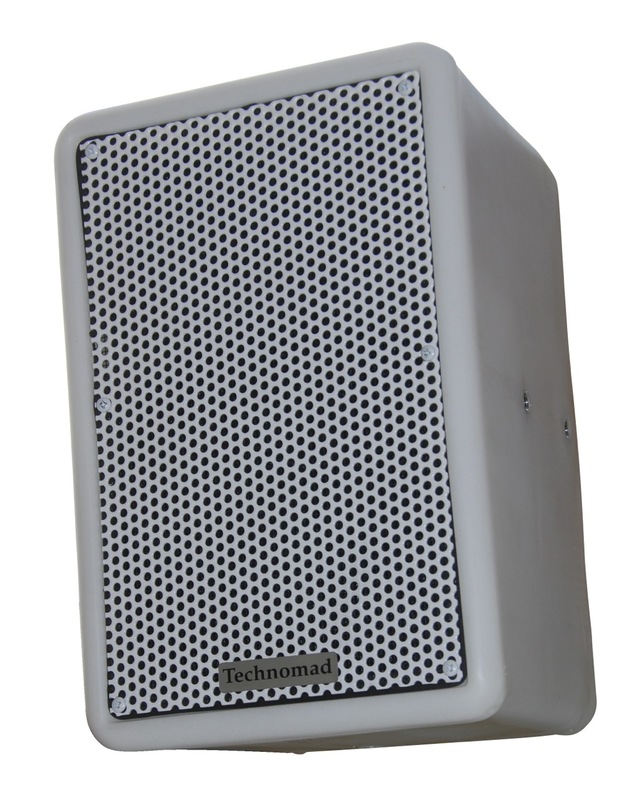 Only 9″ high, the Vernal loudspeaker used in the project freatures a horn-loaded high frequency compression driver – meaning it delivers greater projection and ‘punch’ in noisy outdoor environments than typical dome-tweeter loaded loudspeakers. With a robust bass driver, a unique weatherproof cabinet and multi-layer grill system, the Vernal has a life expectancy measured in decades even in harsh climates, Technomad reports. The Vernal loudspeaker cabinets were sustainably molded by LightManufacturing in California, using a patented solar thermal plastic molding process which eliminates the need for fossil fuel heating. 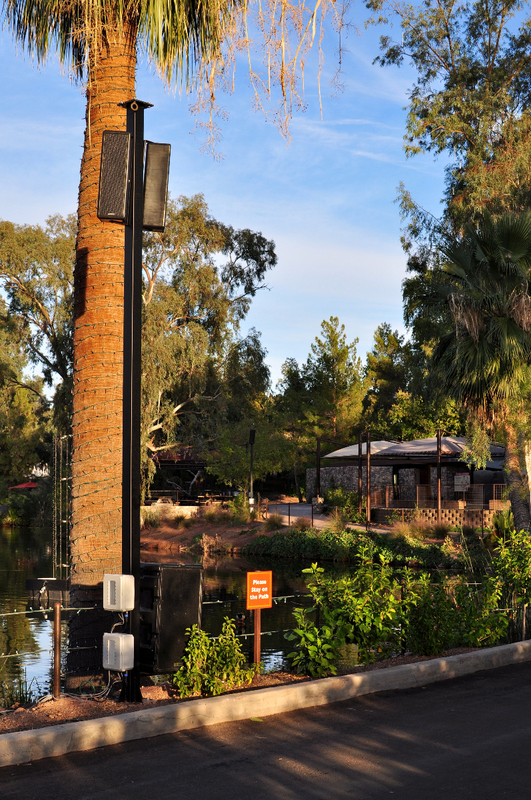 A loudspeaker is only as good as its amplification, and the 1st street loudspeakers are well served by pole-mounted waterproof ‘PowerChiton’ amplifiers. PowerChitons were invented by Technomad in 2010. 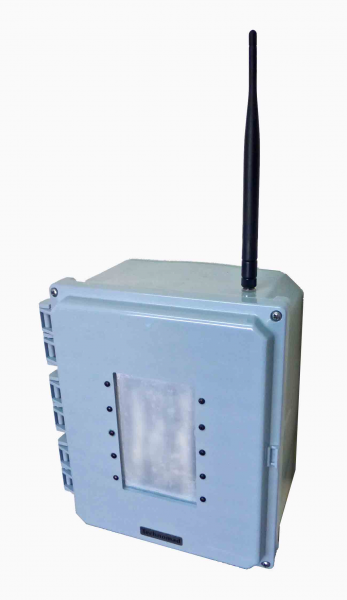 These compact, totally waterproof amplifier modules (named after a rugged marine snail) install easily on light poles, buildings, trees, vehicles, and other challenging locations. 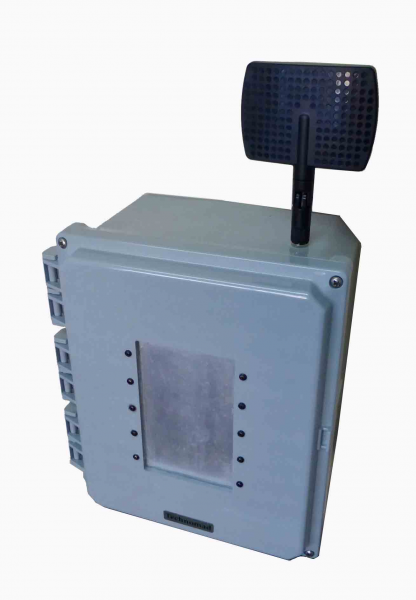 Importantly for city audio projects they operate from 110 or 220V AC power as is commonly found in light poles. Result? 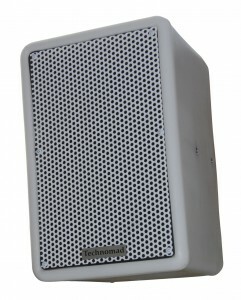 No need to run extra AC power for the street sound system. 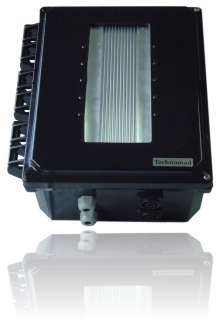 The PowerChiton waterproof amplifiers have space inside their waterproof shell to house accessories, and even provide DC electricity to to power them. This makes integrating networking and signal processing gear simple. 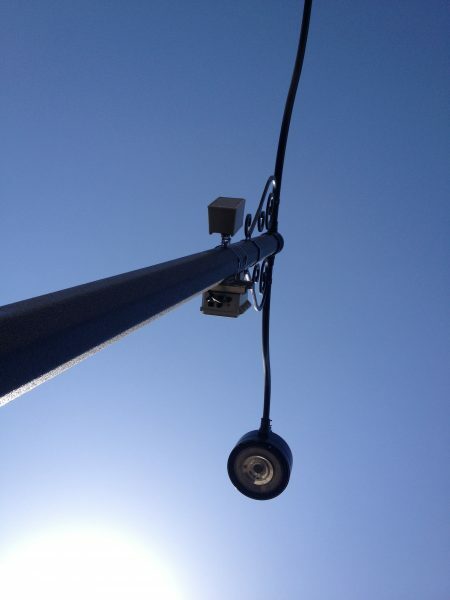 “The compact size of the system and its ability to operate directly from the power already in the light poles was really important to the project” says Greg Maher of Teledata, “it allowed us to install quickly and take advantage of existing infrastructure”. As part of the continuing redevelopment of Downtown Las Vegas, the new wireless outdoor audio system will enhance the visitor experience on 1st Street in an exciting new way. Technomad will exhibit much of the gear used for the 1st Street project at the Infocomm 2016 trade show, June 8-10 nearby at the Las Vegas convention center. 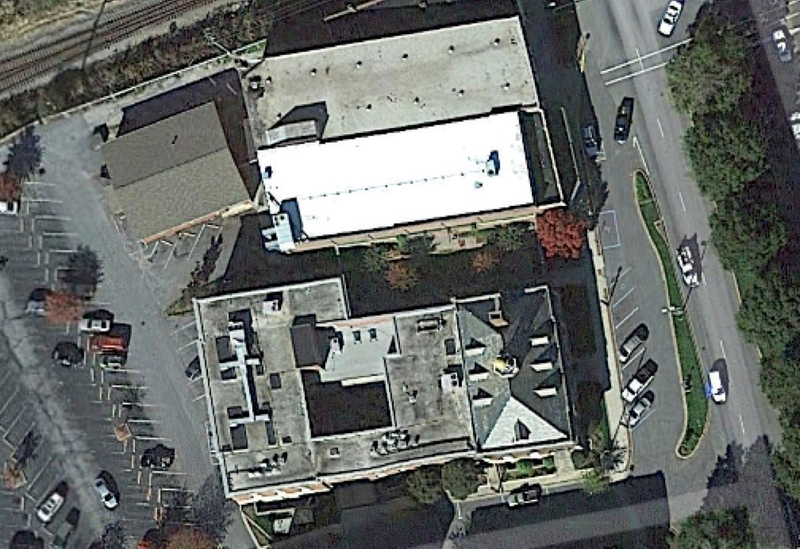 Turns out the gear used…. was Technomad. From the original article in the scientific journal Ecological Applications we read that Technomad Berlin outdoor loudspeakers and waterproof PowerChiton amplifiers were used to create the Sonic Net. 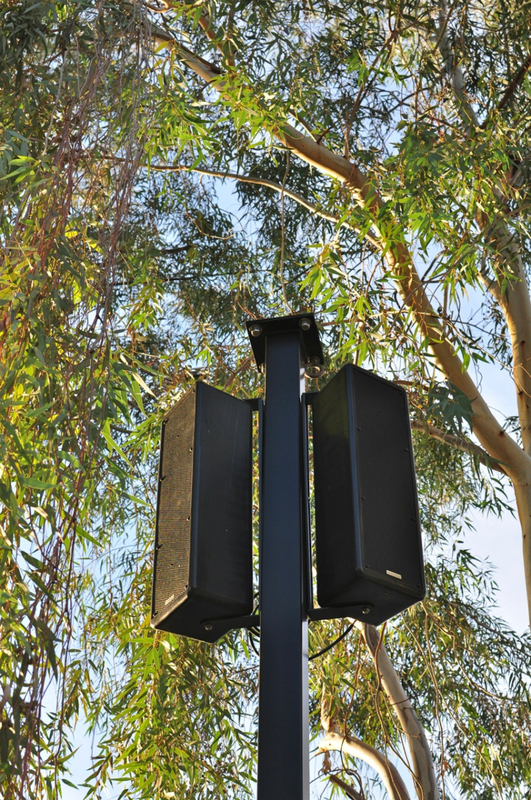 The system projects approximately 80 dB of broad spectrum sound over the target area, and dramatically reduces the presence of many species of bird. The authors speculate that the reason the sound repels birds is not by scaring them (as with ‘startle’ systems that occasionally play loud surprising sounds) but rather by making it hard for them to communicate. The Sonic Net makes birds unable to make out each other’s calls, so they move away to an area where they CAN communicate. The research by Dr John Swaddle suggests that broad spectrum sound masking may be very effective at reducing dangerous bird populations near airports, and may also be effective at reducing crop losses. 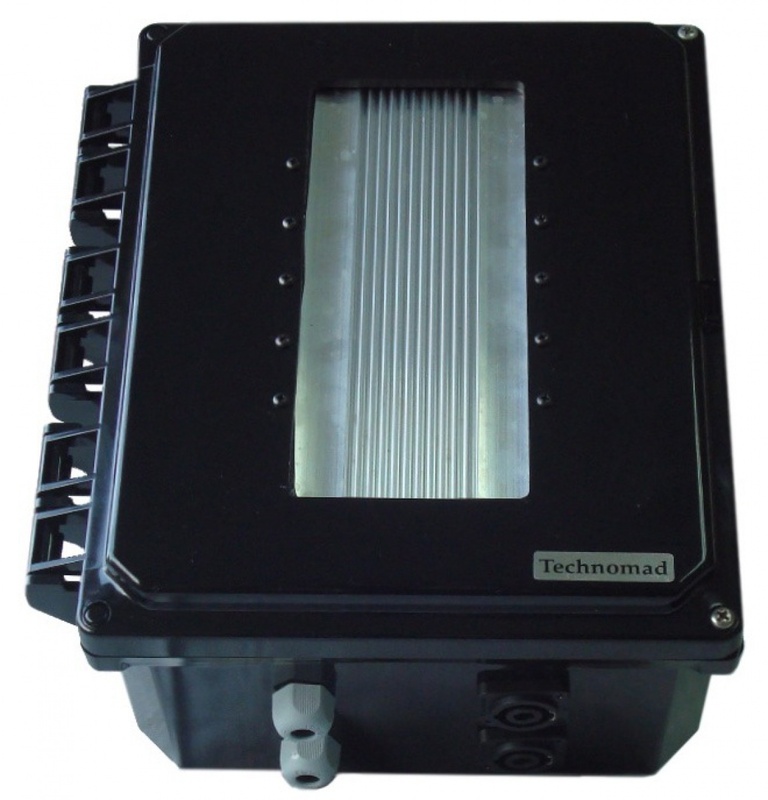 With our line of waterproof, field deployable amplifiers, broad spectrum waterproof loudspeakers, and automatic audio playback devices, Technomad is well positions to support these efforts.